It has been confirmed that the body of the missing girl is indeed 16 year old Sophia Isabella Neill. Her body was found in the Braefoot Bay area of Dalgety Bay and Police have referred the matter to the Procurator Fiscal. Thank you for the amazing response to our story on the missing girl yesteray, over 700 kind people shared it and over 37,000 viewed it in an attempt to find her and ensure her safe return. From the Fife News Online team, our heartfelt thanks for trying to help. Our thoughts and sympathies are with the family of the deceased. Fife Police who have been searching all day for a missing girl have confirmed that the body of a young woman has been found in the Braefoot Bay area of Dalgety Bay. No further details will be released until formal identification has taken place. Fife Police are concerned for a missing 16-year-old girl from Dalgety Bay. Sofie Isabella Neill (16) was last seen around 5pm last night (July 17th, 2013) walking west on A921 between Dalgety Bay and Inverkeithing. 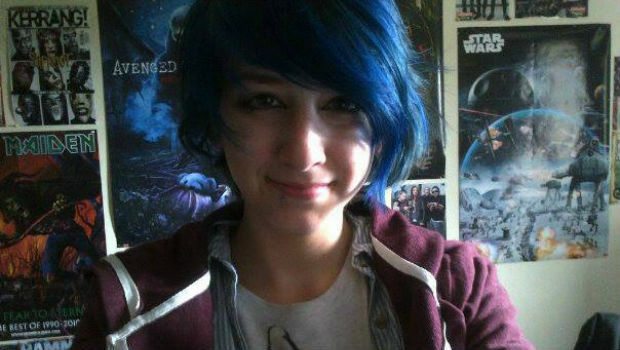 Sofie is 5’3 tall, of slim build and has distinctive blue hair with a fringe to the left hand side, a blue stud under her lower lip and was wearing a maroon coloured zip up hooded top, black skinny jeans, and black plimsoles. She is known to spend time in the Dalgety Bay, Inverkeithing and North Queensferry areas. PC Stewart Cook, from Dalgety Bay Police Station, is involved the search for Sofie and has appealed for any information about her present whereabouts.